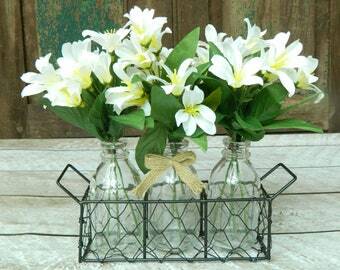 You can purchase just the jars & basket (no boxwood). 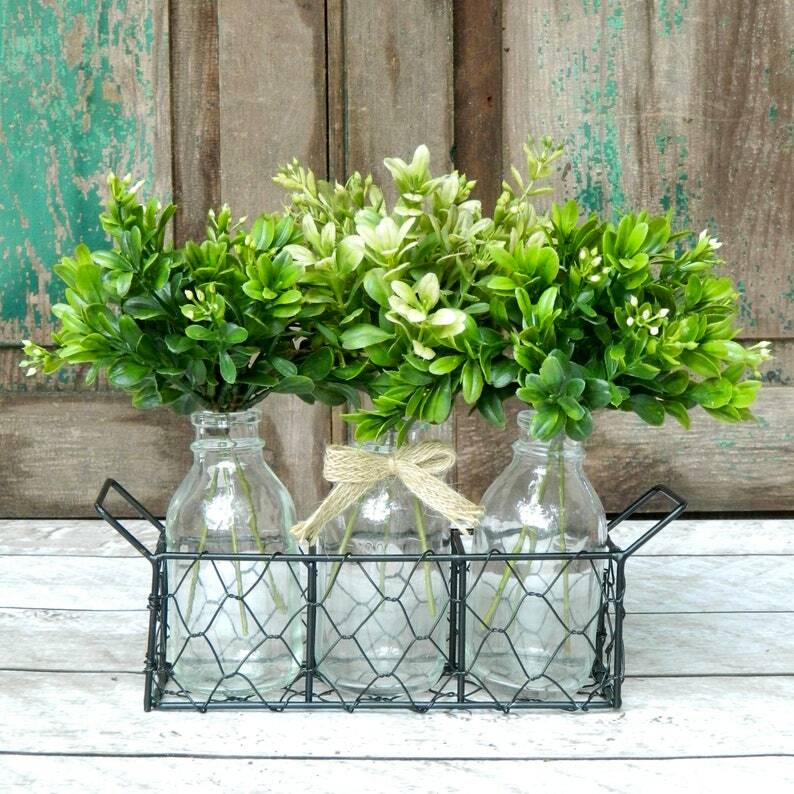 You can purchase the jars, basket, & boxwood (as shown). 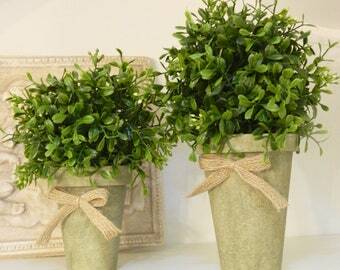 - Jute bow accents each pot. If you prefer not to have the bow, please indicate in the notes section of your order. * With florals, the height is 8"
🌸 WHY BUY FROM EVER BLOOMING ORIGINALS? With well over 25,000 happy customers, buy with total confidence! We stand behind each and every sale. Read our reviews at http://etsy.me/2bu0z1C to see what real customers have to say about their purchases! Please scroll down below to the bottom of the page for frequently asked questions or feel free to email or convo me for further information. All images and designs are the property of Ever Blooming Originals and cannot be used without written permission. Fast shipping, beautiful product and beautifully packed!!! Very very happy!!!!!!! The bottles are a little smaller than I anticipated but I still love the arrangement. 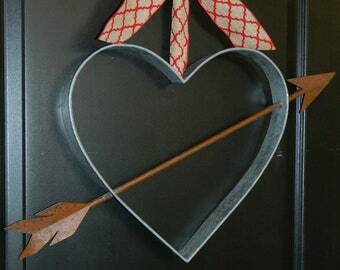 It looks so cute, goes perfect with my decor and adds just the perfect color splash to the space. Shipping was REALLY fast, I ordered it on April 14 and received it April 18. Very well packaged and comes ready to be displayed. Would absolutely recommend. Your patience is appreciated while we make your wreath especially for you! All items are handmade to order. Processing times are listed on each listing under "shipping & returns." When you place an order, your sales invoice will also indicate an estimated ship date. Click the "shipping and policies" tab above for specific shipping information. All orders ship via USPS or UPS. You will receive an email notification with tracking information when your item ships out. Transit times differ depending on your ship to location. All items ship from our studio which is located near Annapolis, Maryland. 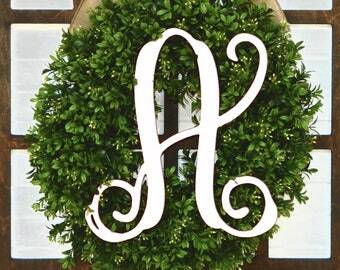 What size wreath should I purchase? 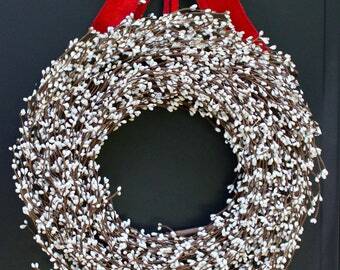 Our most popular selling wreath diameter is a 16" wreath. If you have a standard size door of 36", this is what we recommend. Most of our photos are taken using a 16" wreath, since this is our most popular size. If you have a larger door (over 36" width), you may consider one of the larger sizes. All dimensions for every product are found in each individual listing. Since everything is handmade, dimensions listed are approximate. 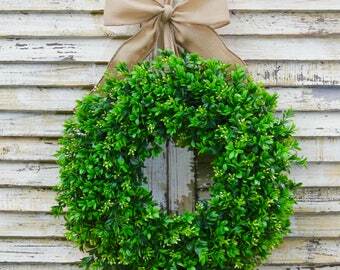 Where can I display my wreath? How do I care for it? 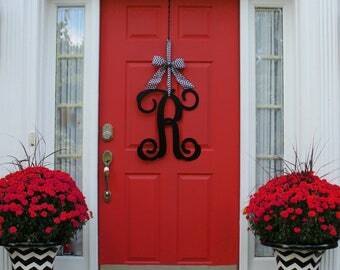 Your wreath/door arrangement should be used indoors or outdoors in a protected location only. This means that you should display it somewhere that it will be protected from the elements (under a covered porch, awning, etc.). Save your shipping box; it will come in handy for storage! When your item is not in use, please store boxed, in a climate-controlled area. In the event your item needs to be cleaned, use a dry paint brush to clean off any areas which may require dusting. Never use water or any type of liquid on your arrangement. I'm a little hesitant...what is Etsy? Are you a real business? 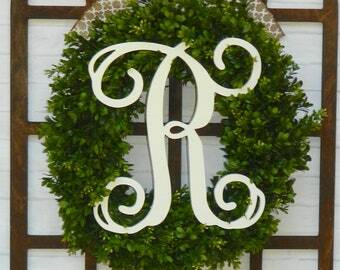 Rest assured, Ever Blooming Originals is one of the top-selling wreath shops on Etsy! We have been in business for over 7 years, and served well over 25,000 happy customers. We personally stand behind each and every sale. Etsy is an online marketplace for handmade sellers to have a virtual storefront. Each online Etsy shop is independently operated. At Ever Blooming Originals, we are true professionals, this business is our full-time work (not a hobby)! Try us out and see why our customers keep coming back for more. We guarantee you will be pleased with your purchase. Does my purchase come with a wreath hanger? No, wreath hangers need to be purchased separately. 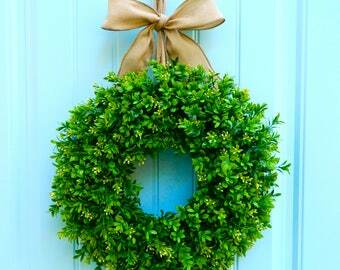 They ship free with the purchase of a wreath and are very reasonably priced starting at $6.99 each. Do you have a storefront? Do you wholesale? At this time you can only purchase my items online. We do not operate a retail storefront. Please visit Raz Imports for a seasonal selection of our licensed items which are for sale in retail and specialty stores near you. Do you ever have discount/coupon code/sale? As a general rule, we do not run sales or discount our items. Comparison shop and you will see that our prices for handmade, items are very reasonable. We do run giveaways on my Facebook page quite often. They are always fun and we love to give things away (frequently)! Be sure to like our page at facebook.com/everBloomingOriginals to stay updated. Can you gift wrap, add a gift note, and send directly to recipient? We are happy to include a gift note with your order and send directly to the recipient. At the current time, we are not offering gift wrapping for our items. This is my first Etsy purchase. How do I place an order? Use this link to help you to make your first Etsy purchase.